The following are the latest runner-bloggers who completed running 1,000 kilometers as they enrolled with the “1,000-Km Club”. Each of them was awarded with BR’s “1,000-Km Club” Finisher’s T-Shirt. Congratulations and welcome to the Club, guys! 163 Days: Easy Long Run @ U.P. After having my weekly massage yesterday afternoon, I decided to have my early Saturday easy long run at the UP Diliman Campus. I arrived at the Parking Area fronting Palma Hall at 5:40 AM and after my stretching routine, I started my easy long run. During my run, I was able to establish a route-loop of 6-kilometer distance within the campus. I did 3 laps on the said loop plus two laps around the usual loop where runners/walkers would do their workout. I was able to run a distance of 22.35 kms in 2:25:25 hours, an average pace of 6:00-6:30 mins/km. It was a nice long run for Saturday and I ended eating a lot of “taho” while I was doing my post-stretching exercises. Tomorrow, “Team Bald Runner” will be joining the 4th October Run at The Fort. After the race, the following runners will be awarded with the “1,000-Km Club” Finisher’s T-shirt at the Bald Runner’s Booth—The Loony Runner aka Dr Joe; Banana Running aka Bards; and MarkFB. 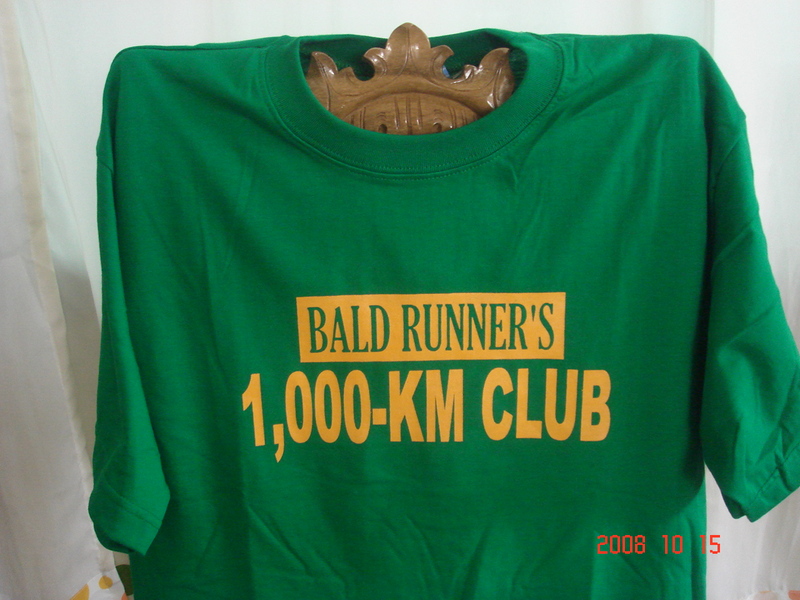 I am giving away Finisher’s T-shirt for those who enrolled to Bald Runner’s “1,000-KM Club” and had posted their mileage or number of kilometers in their respective blogs. I prepared the first 10 pieces of this T-shirt. 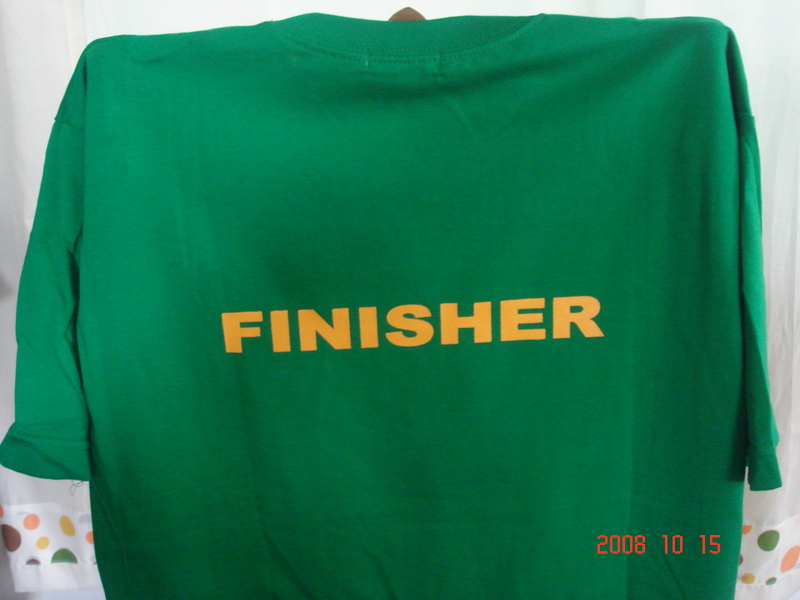 The Finisher’s T-shirt is FREE! Of course, for those who finished 1,000 Kilometers.